Yo Adriene! Check out this Picasso! In the you-gotta-be-kidding-me category, the city of Philadelphia will be installing a statue of Sylvester Stallone/Rocky Balboa on the grounds of the Philadelphia Museum of Art (see news report here). 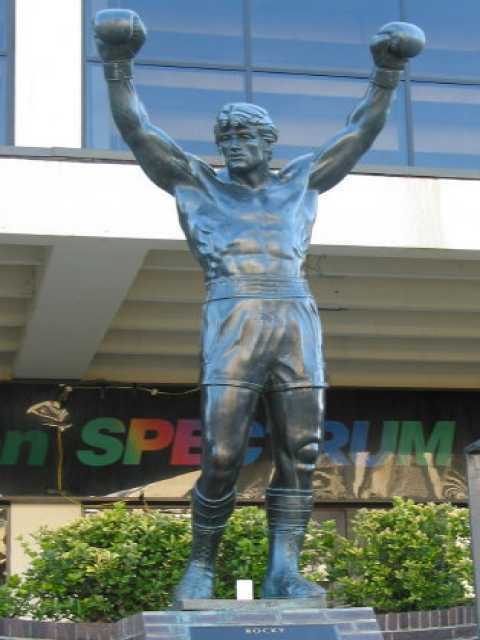 For a few months in the early 1980’s the statue actually stood atop the famed art museum steps, but then the Rocky III movie prop was relegated/relocated to the sports complex. Evidently the Powers-That-Be feel that the Philadelphia Museum of Art needs an 8 foot statue of Sylvester Stallone to increase its appeal among fans of Rocky. Good idea.